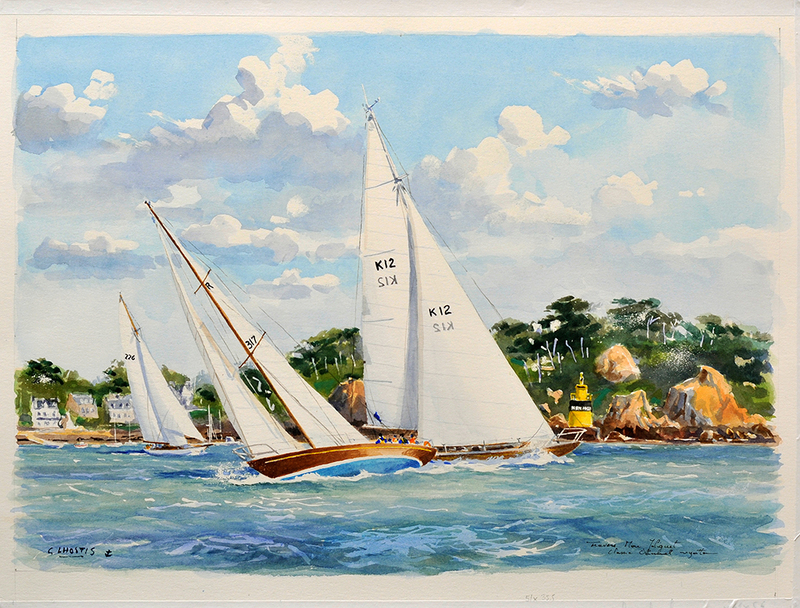 For each Regatta since 2011 we have commissioned an original painting to represent the Spirit of the Regatta. 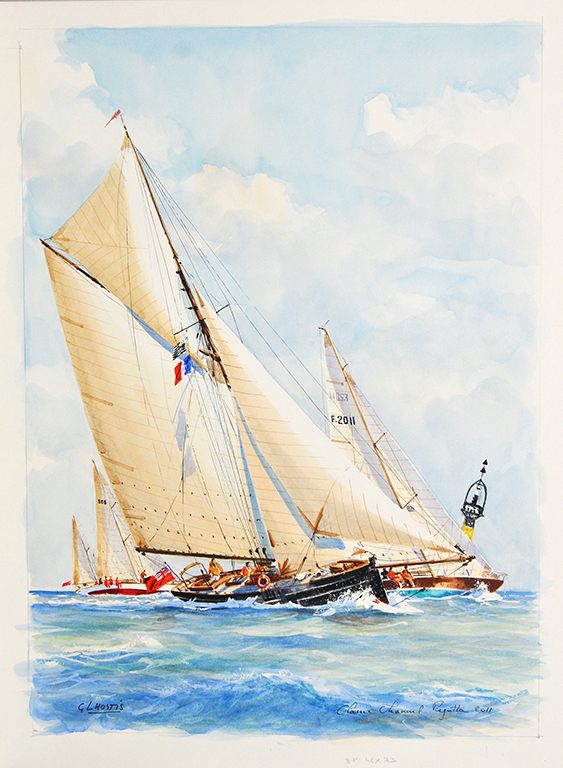 It features in our publicity for the Regatta and the framed original is presented as the ‘Spirit of the Regatta Trophy’ at the end of the Regatta to the boat and crew that has best represented the Corinthian ethos of the Regatta. 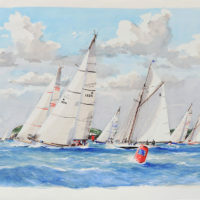 The 2019 Spirit of the Regatta painting below is an original in oils by Cornish marine artist Sheena Bevis-White. 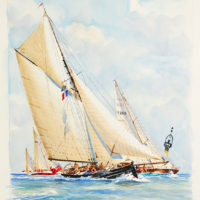 It shows the yacht ‘Little Tern’ on a fresh run up the Trieux River. “I started to paint about 15 years ago during odd holidays by the Cornish coast, but it was not until we moved to Rock in 2011 that I began to work in earnest. Now, immersed in my new life by the sea, walking the glorious coastline and sailing in the beautiful Camel Estuary, I am constantly inspired to evoke on canvas the sights and sounds of this wonderful landscape. 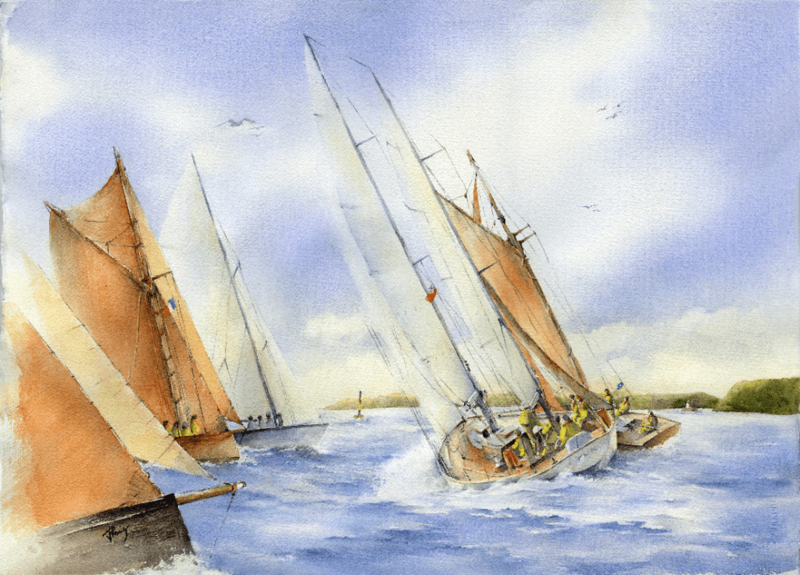 Sheena and her husband Phil sail a Cornish Crabber in the Camel Estuary in North Cornwall. 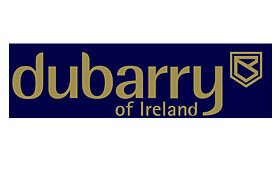 We are delighted to have this association with Sheena and are hoping she will be able to come along to the 2019 Regatta. 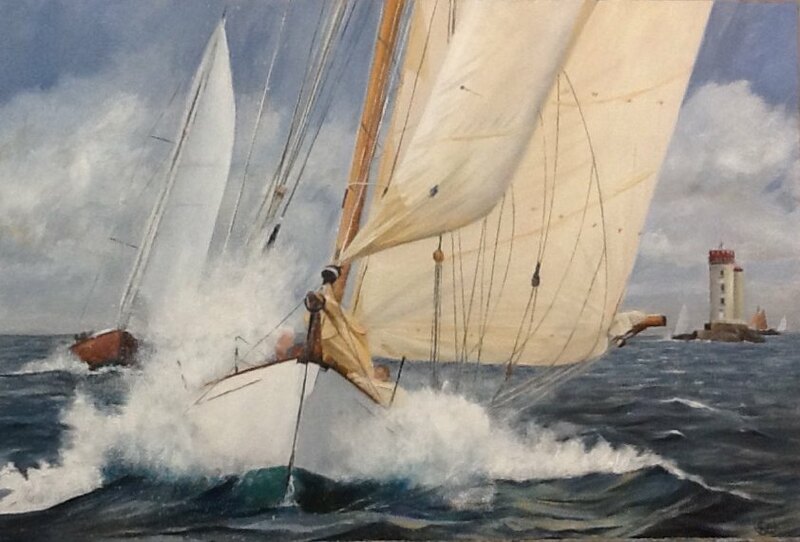 She works from photos, so if you would like an original oil of your boat and have a good action photo, we are sure she would be pleased to discuss a commission you. 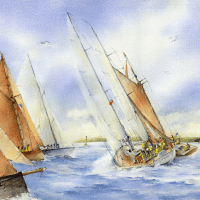 Want to enter the next regatta in 2019? Take a look at everything you need to know to enter. 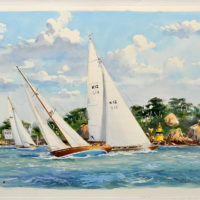 See the full Programme of Events lined up for the 2019 regatta – including the racing, social and other events. We’ve had some great feedback from previous entrants. 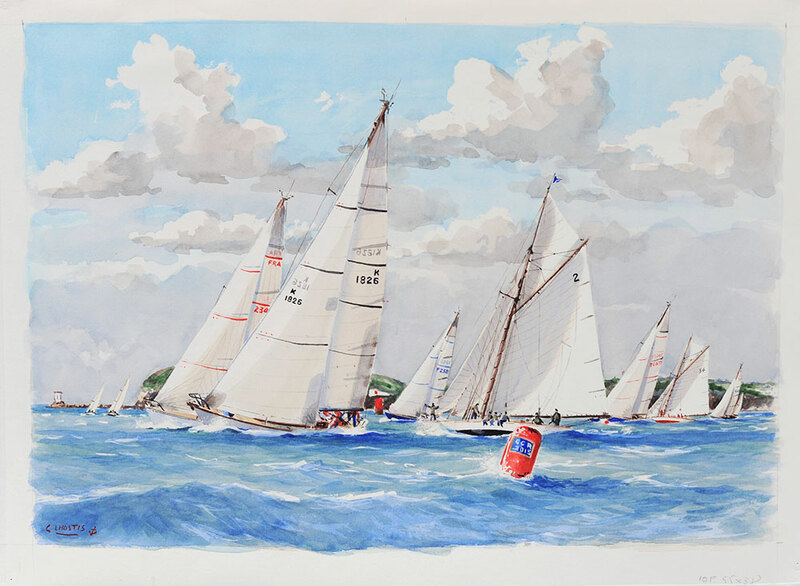 Stay up to date in the countdown to the Classic Channel Regatta 2019 by joining our mailing list.